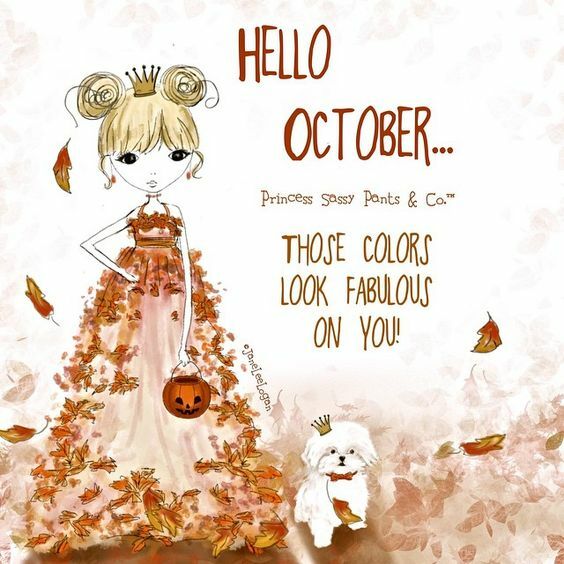 I hope this month is good to all of you! It’s definitely going to be an exciting month for me! A wedding AND a new grandbaby! I’m pretty sure my feet are no longer touching the ground and I’ll tell you, my heart is about to burst with pure joy! 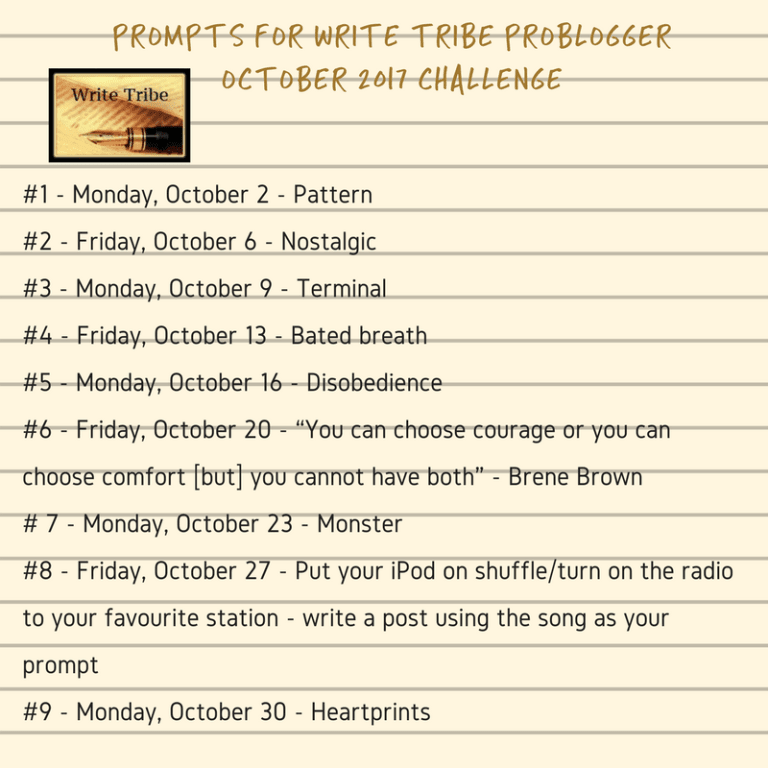 This month I am also participating in the Write Tribe Problogger October 2017 Challenge. These are the days and the prompts. We don’t have to follow the prompts. We can write about anything on those days. I’m going to try to follow along with the prompts. I’ll be scheduling my first post of this challenge, which is this post, so I hope it posts when it’s supposed to! I decided to use my current crafting obsession, crochet, as my reference point for this prompt. My favorite crochet pattern for this fall is the Campfire Cardigan. 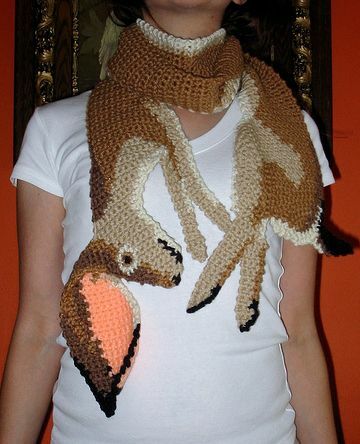 I haven’t made one yet but I’d like to get one done at least in time for spring. I love that it’s worked in the granny square stitch because, to me, the granny stitch/square is the easiest crochet stitch to work with. I also love that it reminds me of my grandma’s handiwork and also that it’s got a 70’s hippie vibe to it. I know it’s not a real animal but it still totally creeps me out. NO man should EVER put these on, not even if your wife made especially for you. JUST – SAY – NO! I have no idea what these women are doing.. But, NO! And this one??? People are just freaks. I wonder how much they had to pay her to parade around in that! So, there it is. My twisted take on today’s prompt, pattern. I’m going to cross my fingers, eyes, and toes that this posts when it’s supposed to. I haven’t had much success with scheduled posting in the past but I guess we’ll see. On the plus side, this should be the only post I have to schedule. I wish all of you a happy and healthy start to this “spook-tacular” and I will see you all and read you all as soon as life takes an extended pause in my lit’l corner of the world. I can see why you would just say no to those awful patterns. Good grief, what were they thinking? Oh wait, they weren't thinking. What ghastly ideas! As Sandee said, What were they thinking? It amazes me they even found models to show them off! Enjoy the challenge! I've crocheted for some 47 years and I have rarely seen works so hideous. Laughing! Good luck with the challenge. 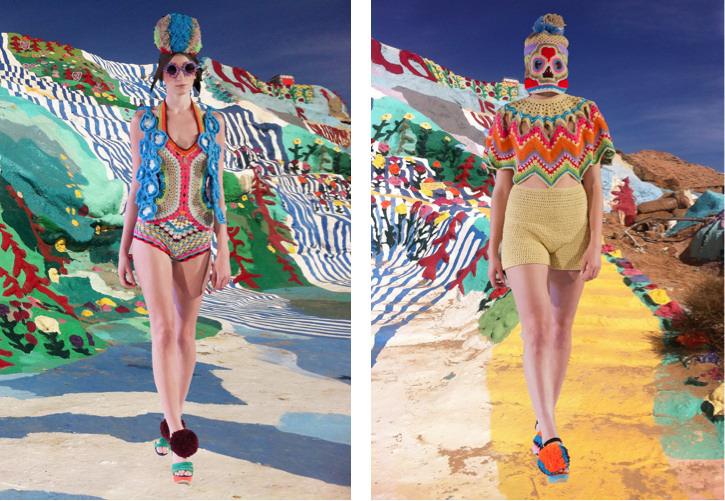 Oh my god- these pics are truly revolting and makes for quite an interesting post on the pattern prompt! I love that Campfire cardi- if you do get one done, pls do show!! Right? No way would I be caught dead in any of that mess! Seriously! A waste of time and most importantly, yarn! 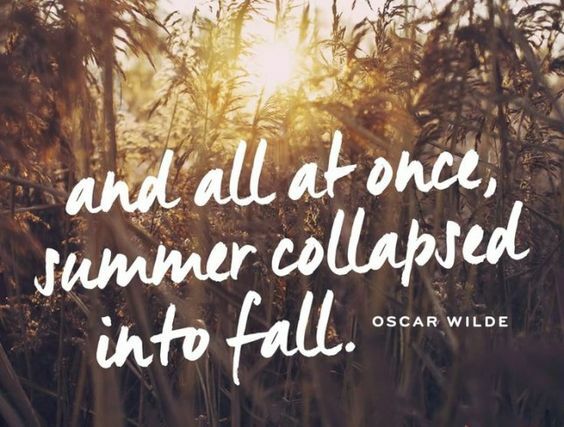 I expect to have mine done in time for spring and I will most definitely post a pic! No kidding. Hopefully they just did this for some kind of freaky modeling job and they're not really wearing them in public. I do agree there is a lot there I don't like either. But then I also try to believe in 'to each his own. No judgments'. What do you say? 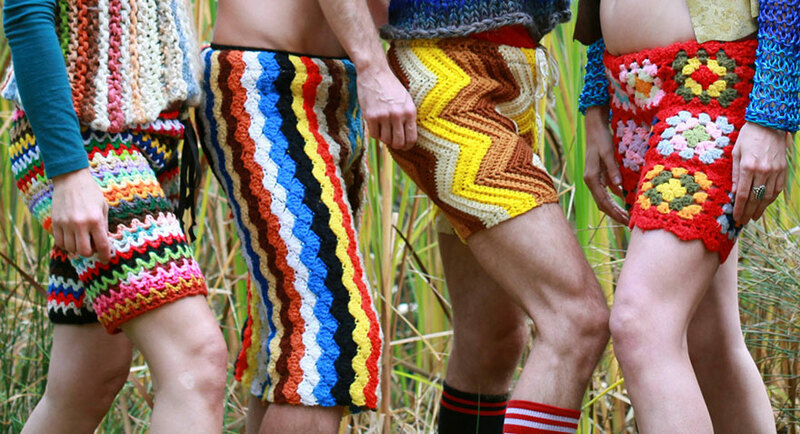 I say those crochet items are ugly! Hahahaha. 🙂 Thanks for stopping by Nimi. 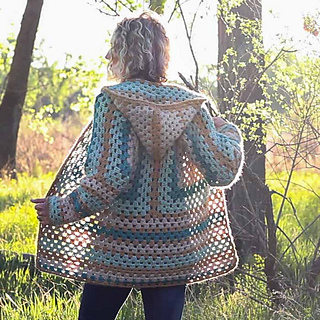 Oh the cardigan with the grandma stitch is so beautiful! And you're so right about the rest of them. Good decision to stay away, LOL! Ha ha..trust you to come up with these, Karen!